One student is about to get a crash course in Parenting 101. When a college freshman discovers his girlfriend is pregnant, he must learn to juggle his homework and daddy duty or face losing his scholarship and his future in "Freshman Father," a story about a young man who is about to discover he has a lot more to worry about than just the 'freshman fifteen'. Prom king and queen John Patton (Seeley) and Kathy Blair (Britt Irvin, "Hot Rod") are the perfect small-town couple. They have everything they've ever wanted - including John's full ride to Harvard University. But that all comes crashing down when Kathy gets pregnant the summer before their freshman year. Deciding to keep the baby, the couple gets married and moves to Cambridge, MA so John can pursue his dream and keep his scholarship at the Ivy League school. However, John soon finds out that having a family while trying to ace math is harder than it seems, and he becomes overwhelmed. After failing calculus the first semester, John decides to take it again, against the advice of icy Dean Frost (Zimmer), who seems convinced that John is setting himself up for failure. 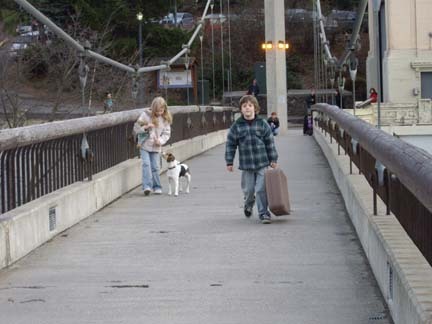 Then, unhappy Kathy leaves Cambridge and her family behind after baby Adam is born. John loses his married student housing, and almost loses his mind, until he finds eccentric-but-motherly psychic, Dorothy (Potts), who has a room to rent and plenty of advice to offer. Dorothy believes John is a hero, but it is up to John to take care of his son alone, and prove to Dean Frost he belongs in the Harvard halls, or risk losing his scholarship and, worst of all, flunking fatherhood. Unfortunately, though I love Hallmark Movies, I cannot promote this one, Freshman Father. Please understand my reasoning. I was planning to share this movie on my blog, with a caution that it would not be for family viewing - since the storyline centered around a young unmarried couple expecting a child. However, that is not the reason why I chose not to promote this movie. Being Pro-Life, I commend the couple in this story and real-life couples like them, for Not having an abortion, and for giving this child life! 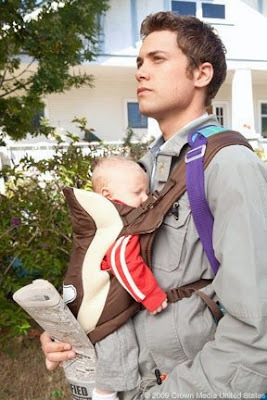 My reasoning for not promoting this movie is this... the young man, the father of the baby boy, John Patton (played by Drew Seeley) ends up raising him on his own while making his way through college. That all sounds very nice until you learn to whom he seeks out help and where he and his son go to live, with a Psychic. In the movie description, it states that Annie Potts (Designing Women's Mary Jo) portrays an eccentric-but-motherly psychic named Dorothy. As a Christian, I do not believe in, nor will I promote watching anything with this subject content. For a movie, with the same Pro-life message, I suggest Bella or the Lifetime TV Movie, A Dad for Christmas. Unfortunately, I cannot promote this one. Today is September 25th... and even though we haven't picked our pumpkins, or cleared the fields, yet, for harvest, my mind is on Christmas ... which is now only 3 months away!!! Yeah! Oh, it is the most Wonderful Time of the Year... and I think that's why everyone gets so excited that it is near! Everyone feels like a child, again... whilst we decorate the tree and house and search for and hide presents! Oh, it's all so fun and such a special time to light up the world and remember the birth of our Savior, Jesus Christ! I've been busy updating and moving everything from my main (old) web-site to this new Blog-Site. Hopefully, you will enjoy it much the same. It still includes a listing of New Christmas Movies + the much loved CHRISTMAS TV SCHEDULE. 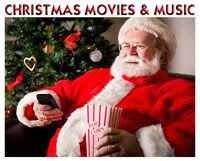 I've been adding Christmas Movies to the Schedule already... so be sure and visit it and take a look. Much more will be added as schedules are released by the various networks! You can e-mail me at: itsawonderfulchristmas@yahoo.com - if you have any Movie Suggestions. Please add this new site: http://itsawonderfulmovie.blogspot.com/ - to your Favorites. The old Geo-cities web-site will be gone after October 26. You can leave a Comment under any of the Posts here, simply by clicking on the word - Comments and leaving your response. Updates are being added nearly every day... so add us in your Favorites and come back soon! Or, you can add yourself as a Follower of this Blog (sign in on the bottom right of this page). and God's Blessings to You and Yours! PLEASE NOTE: Due to this Movie's description from Lifetime, I have decided to remove this movie from my Christmas TV Schedule. As a Christian, I cannot recommend the viewing of a movie that includes such content. Lifetime description: It's anything BUT a Merry Christmas for die-hard New Yorker and publicist E.J. Baxter when she loses both her high-powered Manhattan job and her lawyer-fiance on the same night at her office Christmas party. E.J. winds up taking a job and moving to the opposite end of the earth - Kalispell, Montana. To help the local search-and-rescue station raise desperately needed funds, a la "Calendar Girls," she tries to convince the male rescue workers to pose for a naked calendar and along the way discovers what really matters to her and wins the heart of one of the pin-ups! Tony Award winner and Emmy nominee Kristin Chenoweth (Pushing Daisies) melts the holiday snow in Twelve Men of Christmas, a Lifetime Original Movie. Based on the popular novel Decent Exposure by Phillipa Ashley, the romantic comedy tells the story of a down-on-her-luck public relations executive who uses her media savvy to generate some sizzle in a small Montana town. It's anything but a Merry Christmas for die-hard New Yorker E.J. Baxter (Chenoweth) when she loses her high-powered publicity job and her fiance all on the same night as her office holiday party. To escape everything around her, E.J. takes a job in Kalispell, Montana, and channels her energy to help raise funds for the local search-and-rescue team. She cooks up a concept that will leverage Kalispell's greatest asset - their handsome guys - by having them step out of their uniforms and onto the pages of a calendar that is certain to raise both temperatures and pulses. Though she faces resistance from some of the men, E.J. eventually wins them over...especially a certain Mr. December! 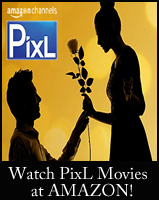 Click Here - for more New Christmas Movies! When a New York City fashion designer returns home to her family's struggling farm, she finds new purpose training a herding dog, and discovers that her four-legged shepherd has the talent to turn an increasingly inhospitable cattle farm into profitable sheep country. 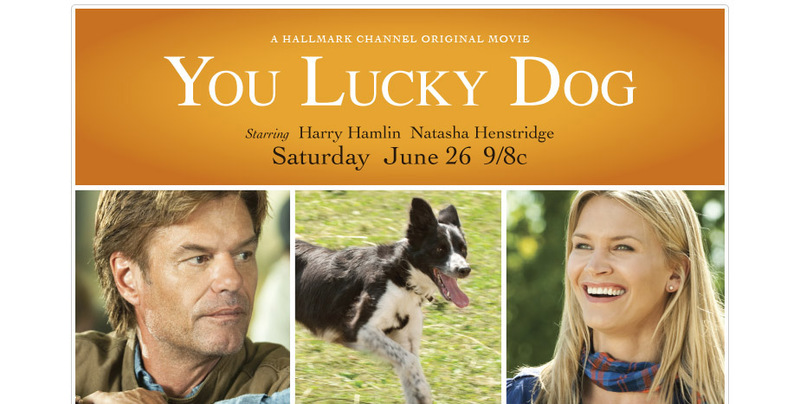 Natasha Henstridge ("Eli Stone") and four-time Golden Globe nominee Harry Hamlin ("Veronica Mars") star in the story about facing failure and overcoming the odds. After the sudden death of her mother, Lisa Rayborn (Henstridge) travels home to small-town Rockton, where her brother, Jim (Hamlin), and dad, Clay (Lawrence Dane, "Bride of Chucky"), are still mourning. To make matters more difficult for the family, Jim has begun raising Merino sheep on the farm against his father's wishes. Jim hopes the Merino fleece would turn a better profit for the farm, but without a superior working dog, his sheep have instead made him the laughing stock of the town. Deciding to stay home and help, Lisa goes to the local animal shelter and adopts Lucky, a Border Collie who Jim's prime nemesis in ranching has just dumped. Jim wants nothing to do with Lucky knowing his biggest competitor thought so little of the dog. 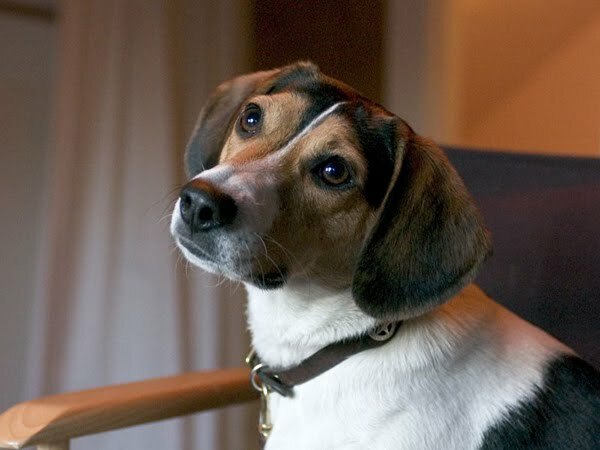 But Lisa, who sees the underdog in herself reflected in the pup, works vigorously with Lucky, and the dog shows such remarkable progress that the siblings decide to enter her in the town's annual herding dog contest. But when unforeseen disasters put more than prize money in jeopardy, Lisa and Jim must ask more from Lucky than they ever could have imagined. Lisa returns home for her Mother's funeral, and decides after years of being away, that she now wants to live again, in her hometown. I thought this was a sad premise for a story - that her Mother was gone - and now she chooses to return home. Perhaps, though, this happens to many people. Once they loose one family member, maybe they finally realize how precious life is, and they want to live near the rest of their family. Part of Lisa's wanting to return home, is due to the fact that she hasn't been as successful as everyone thinks she has been in the fashion industry. Lisa's brother Jim is divorced and lives at the farm with their father. However, there are still some sparks between him and his ex-wife. It is implied near the end that they might get back together, but nothing is ever shown. I found that to be disappointing because I was waiting and hoping for a reconciliation moment! Jim is is determined to make the farm work by turning it into a sheep farm - by selling the wool. Jim and Lisa's Father wants the farm to stay the same as it has for generations, a Cattle Farm. Lisa wants so much to help Jim in making the farm work. She gets a dog, a Border Collie, she names Lucky, and learns it was raised by a nearby farmer, Neil, who thinks she is no good at herding sheep. Deciding not to have Neil laugh at her, for choosing his cast off dog, she is determined to train the dog and even gets Jim to help her in doing so. 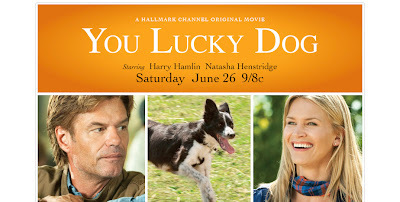 Lucky becomes a very good dog at herding and Lisa decides to enter her into a contest. 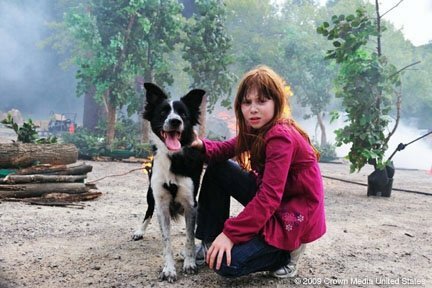 However, there is a forest fire and Lucky gets hurt when she rescues several children out of the fire. From there, things eventually turn around in ways you don't imagine for the family and the farm. This is a very interesting story. The farm is beautiful and the dog Lucky, is absolutely adorable. I don't feel this movie would entertain most young children and they may be afraid of the fire scene where children are trapped in the forest. 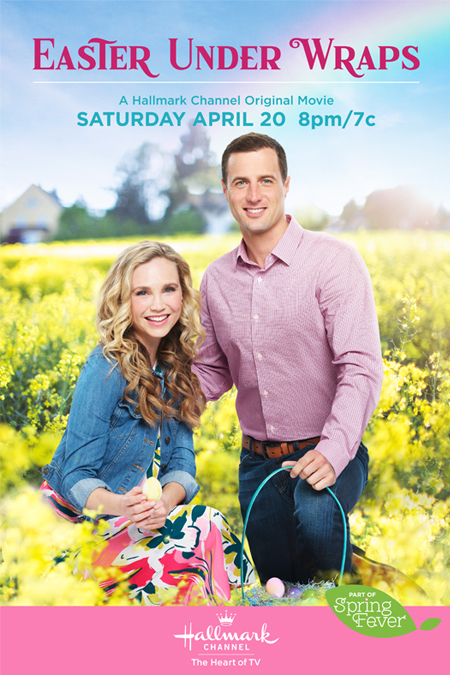 In the end, you'll want to see how it turns out to be a Happy Ending for the family and the farm, and Lisa even finds love with the local vet! 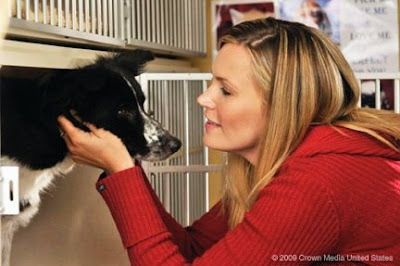 See, sweet movie... especially if you love dogs! A romantic family comedy about a thirty-something lovable pool hustler (Dave Coulier) who stands to receive a ten million dollar inheritance if he can prove he's turned his life around and settled down with a family. He hires two orphaned runaways and an unwitting nanny to pose as an instant family. Now if he can only keep the kids away from the state investigator tracking them down, keep the confused nanny from discovering the ruse, and convince his grandfather's representative that all is as it seems -- he'll be a very rich man. 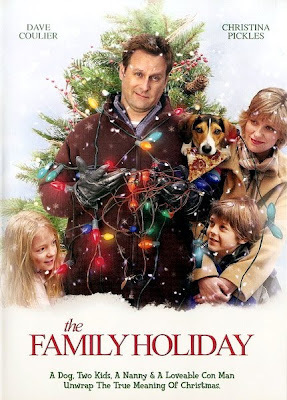 Our family loved this very sweet Christmas Movie. Grab some popcorn for this one and simply enjoy! It's super cute and super sweet and has a very nice happy ending! The children in this are so adorable and I loved how Dave Coulier seemed so much like his fun Joey (Full House) character. This is one Full House fans will surely love! 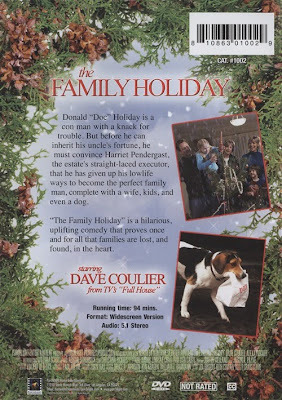 A terrific Family Christmas Movie! And, in addition to the children... the Dog in this Movie is sooooo Adorable, too! CAN ELMO AND HIS FRIENDS SAVE CHRISTMAS THIS YEAR? IT JUST MIGHT TAKE A MIRACLE, ON "ELMO'S CHRISTMAS COUNTDOWN"
Uh-oh, Christmas is in trouble! When the ten numbered boxes to Stiller the Elf's magical Christmas Counter-Downer become lost, the arrival of Christmas is in doubt. Can Elmo and Abby Cadabby find the missing boxes and restore the big countdown to everyone's favorite holiday? It just might take a Christmas miracle! Hosted by Elmo and Stiller the Elf (voiced by Ben Stiller) and his frosty sidekick, Stan the Snowball, "Elmo's Christmas Countdown". This show is destined to make a believer out of you! 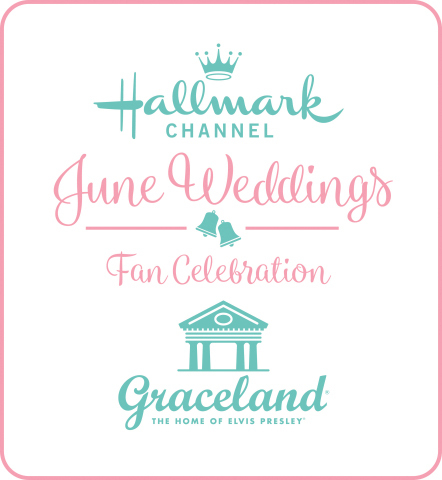 Christmas at Cadillac Jack's is an hour-long program that will be broadcast nationally during the month of December on the Trinity Broadcasting Network, Hallmark Channel, and Hope Channel as well as many local affiliate stations in the United States, Canada, and Bermuda. The premise of the story surrounds an unexpected road trip to find a long-lost daughter on Christmas Eve. Emmy winner, Joseph Campanella; stage and screen star, Ruta Lee; and Latin Grammy nominee, Patty Cabrera, star in this musical drama. Other guests include Mary McDonough, who played Erin on The Waltons; two-time Oscar nominee, Talia Shire; and actor/singer, Joey McIntyre. This is a great story of redemption, family, and love - centered around the Christmas Season. I enjoyed it very much. 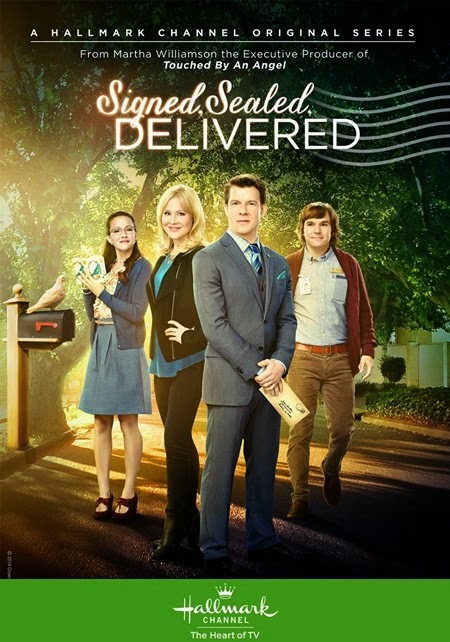 It was also so nice to see characters that I enjoy from other series, etc... such as Mary McDonough (Erin from The Waltons), the forever adorable Joey McIntyre (New Kids on the Block), and veteran actor Joseph Campanella (MaMa's Family, Days of Our Lives, etc) and the actress, Ruta Lee (Christmas Do-Over). "Christmas in Paradise" featuring Charlotte Ross (Lifetime's "Nora Roberts' Montana Sky") and Colin Ferguson ("Eureka"). It's a story where two families meet aboard a cruise ship only to have the holiday shattered by a visitor from one of their pasts. The young children in this movie were cute, but that's about all. Charlotte Ross's character, Dana, is widowed, while the man she meets on vacation, Dan, is divorced. His ex shows up and really shakes things up. Dan and Dana's older children sneak out together in the middle of the night and end up sleeping in the same bed. Not a wholesome family movie - by any means. The whole movie was slow and not up-lifting. Frankly, it was rather odd. This mariachi band would show up playing and these men dressed as the three wise men. It didn't, honestly, make any sense. While I have always liked Charlotte Ross as an actress, I must say, I didn't care for this movie, at all. Separated after 15 years of marriage, Vicki and Jason are set up by their two teenage children to spend a Christmas vacation together on the beach. But their family vacation is further complicated when Vicki’s boss and Jason’s gorgeous assistant show up. As Jason spends more time with Vicki, it becomes clear that this marriage is far from over, and he decides to propose to her all over again. It will take a lot of luck, plenty of love and a little dose of magic to bring this family back together again. I just wanted to say... Happy Birthday to Mr. Mickey Rooney! What joy you have brought to my family and millions of people through your portrayal of the beloved character Andy Hardy and many, many others!!! We just adore every single Andy Hardy Movie. What precious stories there are of such a sweet family during such a wonderful time in our American History. I'm longing for the day when each of these 16 films are released on DVD! I love catching them, however, on TCM, and was delighted to watch one this morning - being played in honor of Mickey's Birthday. It was the one with the very lovely Donna Reed (Mary Bailey from It's a Wonderful Life)... "The Courtship of Andy Hardy"! Each one is so delightful and fun... due mostly in part to Mickey Rooney's energy, youth, and enthusiasm... he brings to the Hardy family. 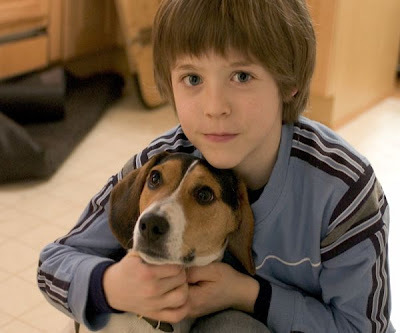 Rooney has appeared in so many wonderful films and movies throughout his lifetime... starting at such a young age. From his work as a young boy in the "Mickey Series" to all of the wonderful Movies he did with the wonderful Judy Garland (Dorothy, The Wizard of Oz)... my, what treasured Masterpieces he has done! I marvel at all of his magnificent work! I am also thrilled to know that Mickey Rooney is a Born Again Christian and a strong supporter of our Troops! 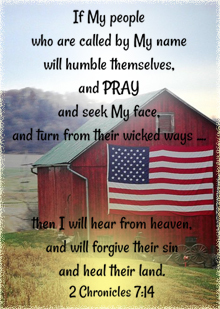 God bless you for sharing your faith and showing your support for our Military! You are a true Hollywood Star! HAPPY BIRTHDAY MICKEY ROONEY and GOD BLESS YOU! A fierce rainstorm has Santa’s sleigh stuck in the mud of Horseshoe Pond in the Cuyahoga Valley National Park. Christmas the Horse with her gallant beauty and tender heart comes to the rescue. With the help of Elf Sparkle and her magic dust, Santa is able to give Christmas the Horse the gift of flying. This sweeping adventure will warm the hearts of the entire family. The spirit of Christmas can never be stopped for all who believe. Dylan Walsh and Jami Gertz star in the Lifetime original movie, Lost Holiday. The film is inspired by a true story, centering on the life-or-death ordeal of an estranged Idaho couple. They accidentally get trapped in a blizzard during a snowmobiling trip gone wrong just before Christmas. It's Christmas time, and while most husbands and wives are celebrating this season of togetherness, estranged couple Suzanne and Jim have nearly given up on their marriage. During a trip, the two become stranded in a snowstorm and are forced to reevaluate their lives, both together and separately. Their daughter, Taryn, who was left at home, has no choice but to pray for a miracle as workers search for her parents. Can Suzanne and Jim find their way back to each other in the middle of a deadly snowstorm? This true story, starring Dylan Walsh ("Nip/Tuck") and Jami Gertz ("Still Standing"), will keep you guessing and warm your heart. It was nice to know that this is a true story with a Happy Ending! The scenes where the couple is stranded on the mountain in the snow is so realistic. I'm not sure how they filmed it in the snow, but it was terrific! Great acting throughout from Dylan Walsh and Jami Gertz and the actresses who played their daughters. Great Action scenes with snowmobiling. It was fun and exciting to watch. Our entire family really enjoyed this movie. This story teaches us the truest gifts of Christmas... Faith, Love, and Family! See! It's a great one for the family and finally a Christmas Movie... I think Men will love, too! stars Nicole Eggert (from "Charles in Charge" and "Baywatch") as a struggling housewife wondering whether she married the wrong man. A week before Christmas, Paula (Nicole Eggert) finds herself struggling with bills and life with her blue-collar husband Gary and her two daughters. When Nick, her High School boyfriend returns to town a wealthy art Gallery owner, Paula wonders if she made the wrong decision when she took the wrong date to the prom. What would her life have been like if she stayed with Nick? Christmas is a time for Miracles, and so when Paula wishes she could see what her life would have been like if she'd made the other choice, she finds herself magically transported through her washer/dryer to a parallel life where she is Nick's wife. At first, this new life seems the answer to her dreams, as she shops and dines out with her newfound wealth. But she soon realizes that the grass is NOT always greener. Her relationship with Nick is in shambles, and she misses her real husband Gary and her two girls. When she sees Gary and her kids living a happy life with another woman, she wishes for just one Christmas gift to have back the life she didn't appreciate. Cute Movie. Paula realizes after dreaming / living through briefly what she thought was the life she always wanted ... that what she had... was really a Wonderful Life! One important Caution: in order for Paula to go into her supposed Dream World - she crawls thru the Clothes Dryer. This scene concerned me for young viewers- so please don't watch this with them. It's kind of a silly moment, but still the movie is cute and light-hearted.... and makes you appreciate your family and everyone around you all the more! See, but not with your children due to dryer scene mentioned above, plus there is drinking and relationship entanglements not suitable for young viewers. After a long drive out to the family cabin in the middle of nowhere, David quickly realizes that he has little chance of breaking free from this wacky bunch. The Chandlers appear to be the perfect family, but when David sees how inadequate Trudie feels around them, he agrees to play along with the charade until he can break free. But, odd as it sounds, he adapts quickly to the crazy family that welcomes him with open arms. Soon enough, they are all enjoying a happy Christmas when the police bust in on their holiday fun. Will David want Trudie arrested…. or realize she is rather arresting? I wanted to like it. The mother from Lassie is in it, for goodness sake... but please know, this is not a family oriented movie. First of all, Trudy kidnaps a man. Hello! That is so wrong! What if he had kidnapped her? I think it's a wrong message to send that it is ever okay for anyone to kidnap anyone else - man or woman. Second, the parents are very open about letting Trudy stay in the same room with her supposed boyfriend. Morally wrong behavior persists throughout. Trudy's brother announces to the family that he is gay. And, the Mother and Father admit they are having trouble with their marriage because they were never "involved" with anyone else... as if to say monogamy and commitment is bad. This was the issue that disturbed me the most from this very crazy mixed-up movie. I know many people loved this movie and don't get me wrong... there are some extremely funny "laugh out loud" moments and I personally like Melissa Joan Hart, as an actress, but I'm just not a fan of this modern movie plot. Skip, not for family viewing. This movie follows a woman (played by Christina Milian) who finds she can magically leave the real world behind for the Christmas-themed dreamland in her grandmother's snowglobe. Matt Keeslar plays a love interest she encounters inside the globe. A mystical Snowglobe transports Angela (Christina Milian), who longs for a classic, perfect Christmas away from her boisterous family, into an idyllic holiday winter wonderland. But, when the two worlds unexpectedly collide, Angela has to make a choice about what really defines her “perfect” Christmas. This movie is sweet and silly. Angela is dreaming of an old-fashioned Christmas and finds herself drifting in and out of her world and into the idealic world of her Christmas Snowglobe. Caution: There is some drinking and a few bad words are said. In one scene, Angela is wearing a skimpy camisole top. This movie is a little quirky and odd, but if this appeals to you, then I say... check it out. For the most part, it seemed child-like, innocent, and funny. Those Cautions mentioned above seemed brief and out of place. It's predictable, with a Happy Ending, but even though it is extremely silly, there are some cute moments along the way! See, if the description above interests you! After a jewel heist gone awry and being double-crossed by her mentor, Cate Dove (portrayed by Shannon Doherty) is forced into hiding after her face is plastered all over the news. When the opportunity arises, she jumps at the chance to get out of the city and babysit for her niece and nephew. There is only one problem….Cate is not the maternal type. But ever the opportunist, Cate makes the most of her suburban prison by using her distain for sentimentality to plot a grinch-like heist of the entire town’s Christmas loot. However, what Cate hasn’t counted on is the romantic effect of a certain hunky Sheriff (who also happens to be her ex-boyfriend), and her precocious niece and nephew’s ability to touch her heart and conscience. Her plan is interrupted when her ex-partner in crime returns, jeopardizing not only her heist, but also the safety of the people she’s come to love. She’ll have to make the decision to run away, as she usually does, or stay and fight for what she knows in her heart is the only treasure worth protecting – her family. This is a pretty cute Christmas Movie. Parents should know, however, that the main character, Cate, is a thief and is involved tightly with a ring of professional thiefs. In the beginning, she is a bad example for the nephew and niece she is babysitting... teaching them often to be mischievious. It's easy to see though, that she is having a change of heart, as the kids and her old ex-boyfriend turned Sheriff, are winning her over. My favorite scene is after Cate returns all of the toys she has stolen from the homes and they show children opening up odd presents... boys opening girls toys... and vice versa... it's pretty cute! Plus, I loved the scene where Hank recreates their prom night and takes Cate back to their old high school gymnasium that is all decorated with stramers, etc... and they dance in the spotlight! It's such a sweet moment! This movie teaches forgiveness and second chances... and paying for one's actions... even though Cate is let off rather easy due to her Sheriff boyfriend's connections. Overall, it's a Cute Movie with a Happy Ending! See... probably best suited for kids 8 & up!